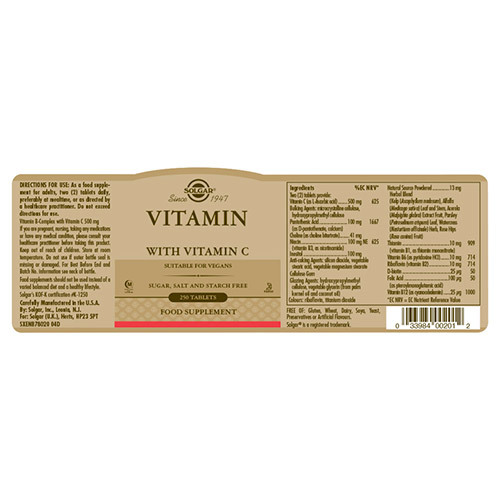 B vitamins are water soluble nutrients that are necessary to maintain energy and general vitality, but they are also used by a number of other important functions within the body including immune, nervous system and psychological functions. 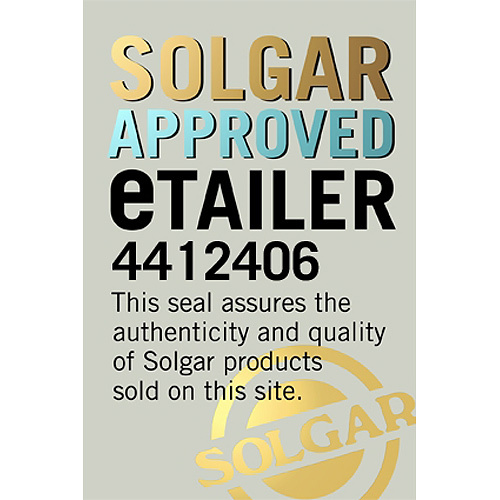 Solgar® Vitamin B-Complex with Vitamin C delivers these key B vitamins. 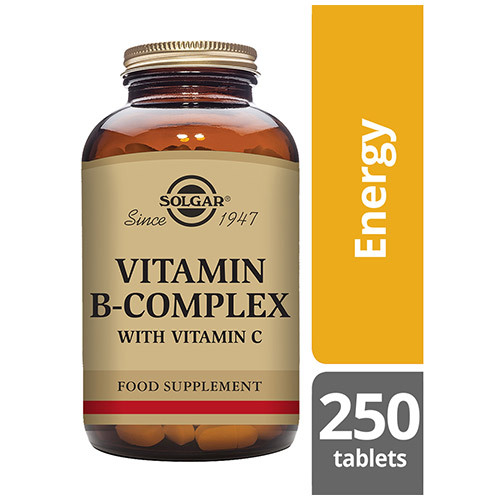 By taking 2 tablets of Solgar® Vitamin B-Complex with Vitamin C, you will receive a combination of the key B Vitamins supporting your energy levels, as well as Vitamin C with its potent antioxidant properties. Bulking Agents: microcrystalline cellulose, Anti-caking Agents: silicon dioxide, vegetable magnesium stearate, vegetable stearic acid, Glazing Agent: hydroxyproplmethyl cellulose, Cellulose Gum, Colour: titanium dioxide, Vegetable Glycerin. As a food supplement for adults take two tablets, daily, preferably at mealtimes, or as directed by a healthcare practitioner. If you are pregnant, nursing, taking any medications or have nay medical condition, please consult your healthcare practitioner before taking this product. 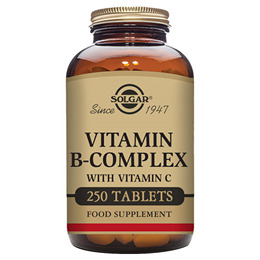 Below are reviews of Solgar Vitamin B-Complex with Vitamin C - 250 Tablets by bodykind customers. If you have tried this product we'd love to hear what you think so please leave a review. 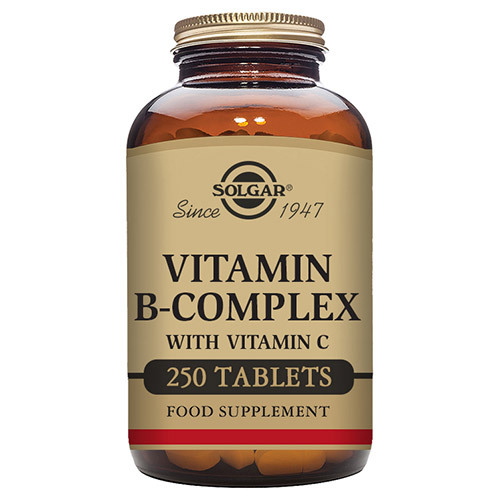 Solgar® Vitamin B-Complex with Vitamin C is a high potency Vitamin B-Complex delivering key B vitamins.